2016 Trailer Park Boys calendar now on sale! 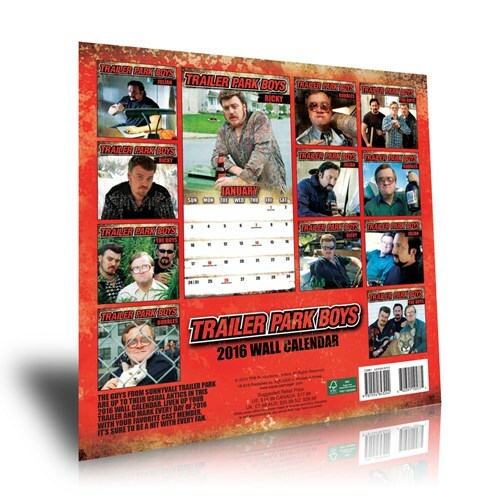 There’s no better way to cover up those liquor & cheeseburger party stains on your wall than with the official Trailer Park Boys 2016 calendar, now available at the TPB Store! Each month features a glossy, full-colour photo of your favourite boys… and there’s a few kitties too! ← New at swearnet.com: Mailbag with Robb, JP and Mike! I saw these on sale on ebay last week, boys. Not sure if they are legit or not.